In the fall of 1979, long before the advent of the 24 hour cable news channels we relied on newspapers and the three major television networks for information. In my house that meant the CBS Evening News with Walter Cronkite, the Most Trusted Man in America. 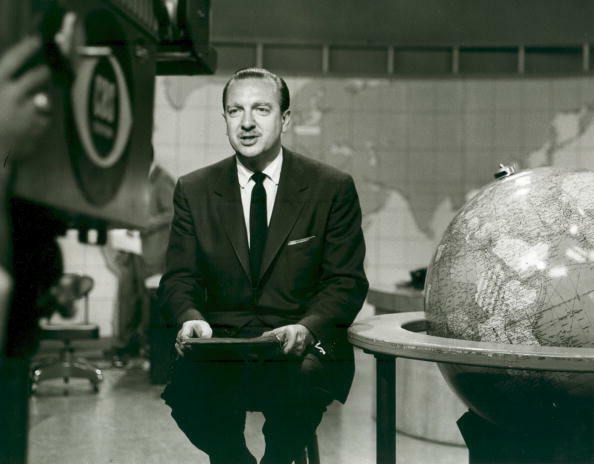 My father liked Cronkite. Hell, so did pretty much everyone else from what I remember. Our ritual was to watch Cronkite while eating dinner. It was during one of those meals thatI really heard about Iran for the first time. The grainy shaky images of burning American flags and Iranians streaming over the fence and into the American Embassy. I didn’t know much about the politics behind the attack or why the Shah was living in the U.S. I just remember how shocking it was to watch and how angry it made me that those horrible people would take Americans hostage. Jimmy Carter proved to be an ineffectual leader. Carter proved to be a man more prone to apologize or blame his fellow citizens for problems we faced than employ real leadership. I guess it’s fair to say that after each day and week and month I lost respect for Jimmy Carter. I was 12. Each day I wondered when those men and women would finally come home. I looked at the images in Time Magazine of dead American airmen in the desert after a rescue mission went terribly wrong. I remember when Ronald Reagan was elected President almost a year into the Iran Hostage Crisis I was hopeful it might finally come to an end. I hoped this man would finally stand up and fight for what was right. The Iranians figured he might do that as well it seems for less than one hour after Reagan was inaugurated on January 20, 1981 the hostages were set free and put on a 737 bound for Germany. These images flood back to me now as President Barack Obama works out a ‘deal’ the Iranians who are now set on a course that will likely result in that nation possessing a nuclear weapon. The deal has made Israel allies with Saudi Arabia, Qatar and Kuwait and put the Netanyahu administration at odds with our own. I’m sorry but I believe time will reveal that President Obama has run a fools errand by working with those he clearly should not trust. Tonight the Iranians are already balking at some of the details. The ‘deal’ is only a few days old and already they are trying to change what was agreed to. Barack Obama may be a very bright man and a gifted speaker but the deal he made with the Iranians seems to lack one essential component of leadership and that is wisdom. Barack Obama would be well served by going back and watching Walter Cronkite on YouTube covering the Hostage Crisis like I did tonight. He would be well served to see what I saw and understood as a 12 year old. Mr. President the first rule about making a deal with the Devil? Don’t.